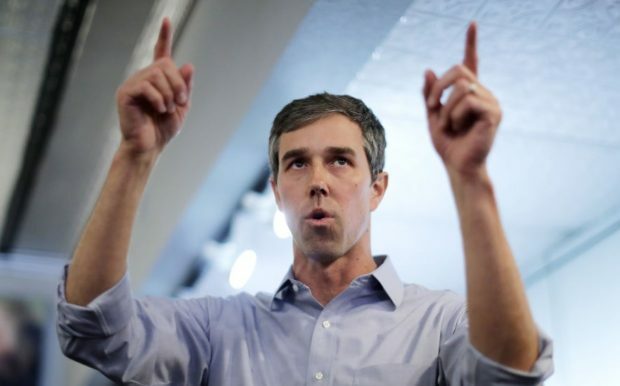 IOWA CITY — Democratic presidential hopeful Beto O’Rourke on Sunday described Israeli Prime Minister Benjamin Netanyahu as a “racist” whose outreach to far-right interests as he seeks to hang onto political power has seriously damaged the chances of peace in the Middle East. Speaking at a town hall here at the University of Iowa, the former Texas congressman denounced Netanyahu’s pledge Saturday that he would annex Israeli settlements in the occupied West Bank if he wins another term in Tuesday’sIsraeli general election. Netanyahu’s proposed annexation, O’Rourke said, “will make peace in the long term impossible.